A NEW STARBLADE GAME TO COME ? Namco unveils an impressive new 3D polygonal shooter with an unorthadox cabinet. 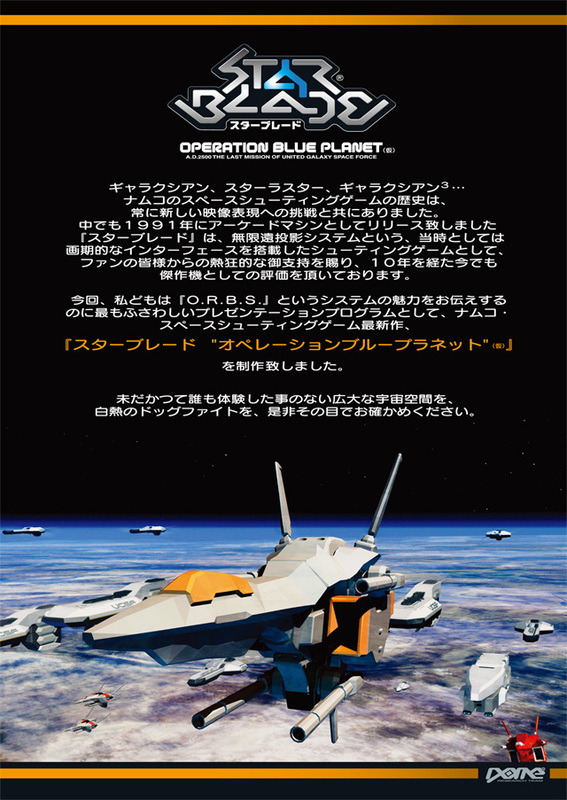 TOKYO - Perhaps one of the surprises during the 39th Amusement Machine Show today was the demonstration of Star Blade: Operation Blue Planet. 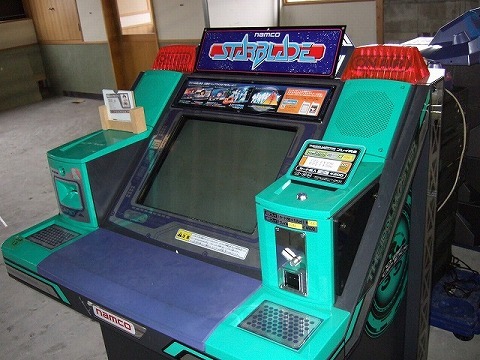 Namco released a 3D shooting game named Star Blade for the arcades back in 1991, and it was later ported onto the 3DO and PlayStation. The sequel couldn't have returned at a better time, as the current technology available for graphics and sound have allowed the developers to bring the experience closer to reality. 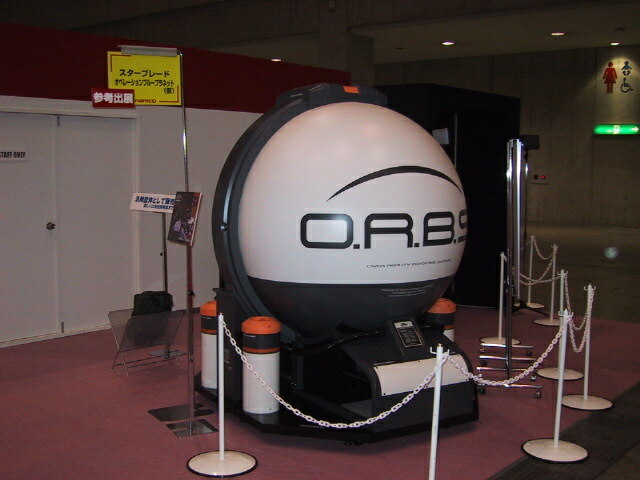 The game is contained in an arcade machine in the shape of a spherical pod. At the rear of the machine is a slot where the seat slides in and out of the pod. The interior contains the control panel and a half-sphere monitor, complete with a 5.1 channel Dolby Digital audio system. Since the monitor wraps around, players will see the game as if they are looking through a fish-eye lens. Namco provided further information during a conversation with GameSpot. "Though both machine and game were displayed at the show for demonstration purposes, we will make announcements regarding the release of the game in the future," the company representative said. "The machine will not be limited to this game, but can even be used possibly in a driving game." 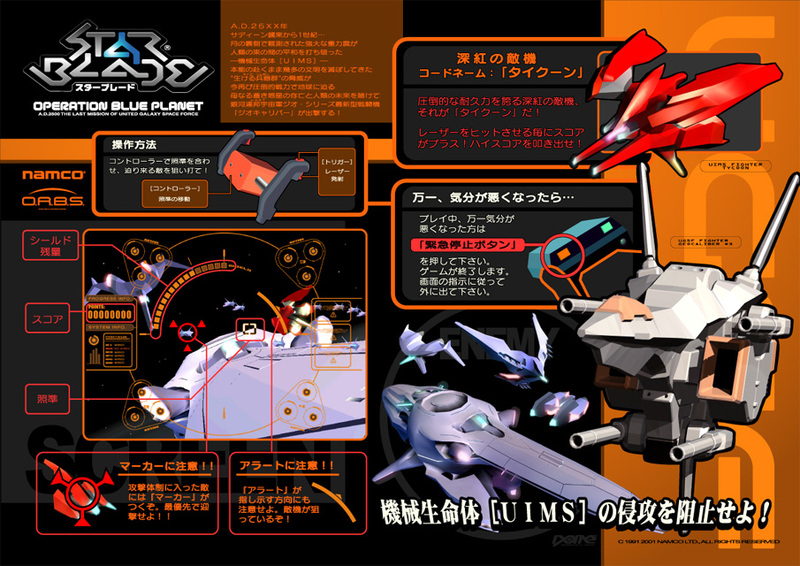 The Star Blade: operation blue planet demo was certainly one of the most popular games at the show, and there was a 70-minute wait to play the game. As you can see, the game was not completed by Namco .. what a shame because it looks 'almost' finished! 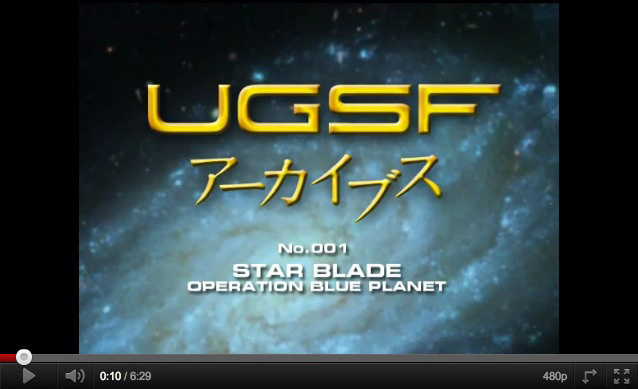 Maybe the creation of the UGSF site and the release of new information indicates that Namco is working on something new about the Starblade franchise or other of their 'shooters' game? I've seen many videos about that game ! And on every video it's working ! I hoped that this one will come up, but it won't ! I'm so sad about ! Watch in fullscreen and turn up the volume . Anyway! Chance that game hits the arcade are almost null But let's hope a console release at least! 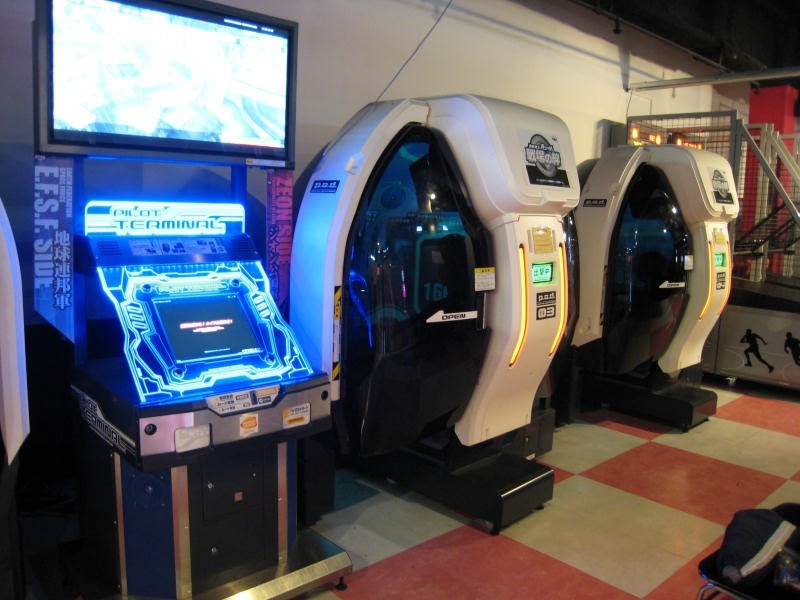 The cockpits used for these 'mech battle' games in Japan are very similar to the ORBS one. I've never heard about such cockpits in Europe? I'm curious to try that... it looks so immersive! 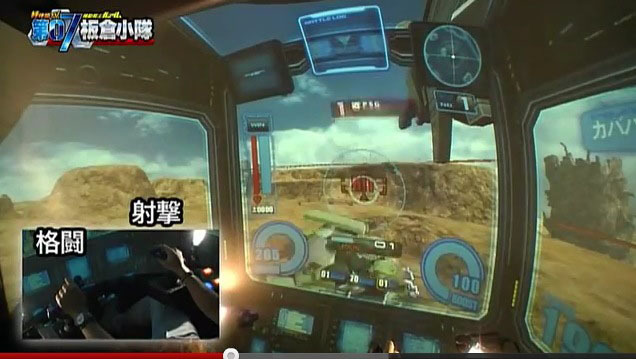 This cockpit is "P.O.D.（panoramic optical display）". P.O.D. is made based on the ORBS. >I've never heard about such cockpits in Europe? In overseas, we can see them at six places. 4 in Hong Kong, 2 in Taiwan. the sequel to starblade. The graphics looked beautiful and the sounds were awesome. I believe the main anthologist in the arcade could be that red ship and that enemy flagship commander from the previous game could have been resurrected or it could be a different one. Too bad it was canceled because it didn't make It past field testing. Actually idk if namco is going to revive the project from cancellation. Wow, this picture is very interesting! This is not the ORBS prototype who has been initially showed to demonstrate the StarBlade Operation Blue Planet 'game in progress' during the arcade shows! In fact, I would say the original/prototype ORBS became this Gundam pod! Now the question is : does the owner of this pod has simply customized it 'a la StarBlade Operation Blue Planet', but there is no Starblade game inside...or he can play StarBlade Operation Blue Planet inside of it, meaning the code of the game (prototype) is somehow available!? 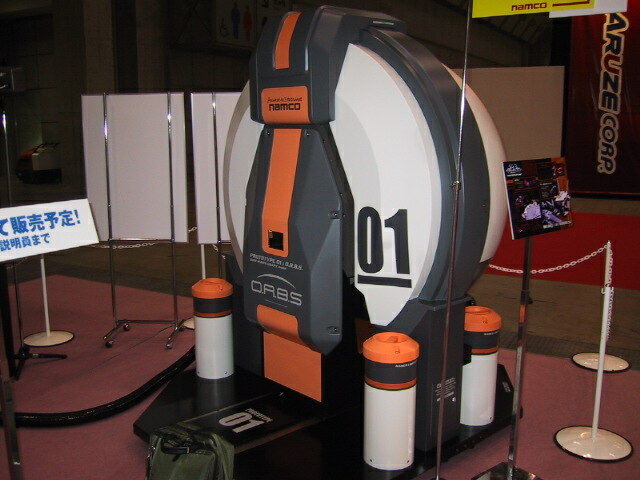 Or finally this version of the pod has been also used at a later stage by Namco to demonstrate the game? So THAT one would be also a 'prototype'? 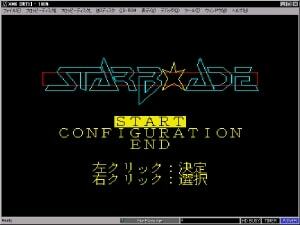 Seems as if somebody did a fan port of Starblade to the X68000 (Just like the officially ported Galaga 88). There was a video in 2009, but someone who uploaded it was terminated. Please forgive me that you described in Japanese because there is no time to be translated into English. >This picture seems odd. 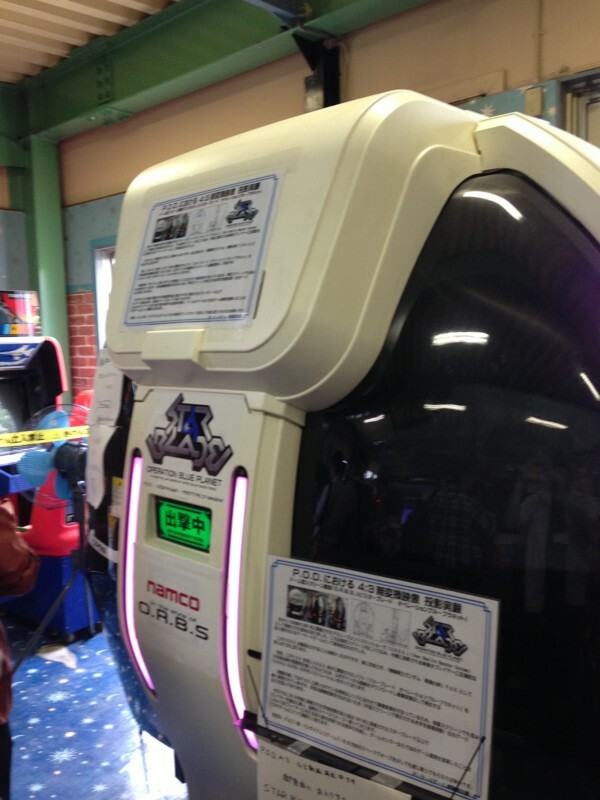 Yet to put a starblade logo on top of the Idol Master arcade seems to be quite deceiving. Hey, great to see you back, Tom#2-JP, whatever in english or japanese. So if I understand correctly, this picture was just a joke that was made during the 'game room' move? Simply putting a StarBlade logo on the top of that idol master game! This picture continues to intrigues me! 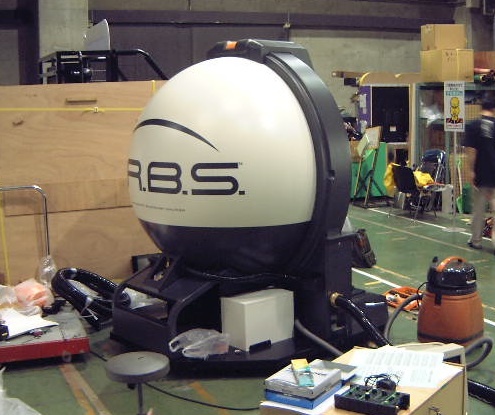 So I understand they (Namco) used the projection system developed for the ORBS pod into modern pods, the ones that run 'Gundam' or lately Mach Storm for example... OK, but why and who re-installed the StarBlade blue planet into a modern pod? Yes, we don't see the game running on that picture, but why to 're-skin' a pod if it's not for playing it? Does the prototype game is available somewhere? Or this is a pod located/from Namco? I had a chance to get one but the original cab is just too big for the space I have!